F​or the first time in New York an exhibition that will guide you through the ​captivating beauty of Renaissance. 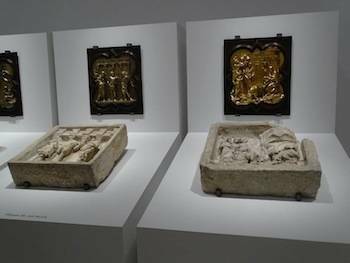 From February 20 the MOBIA, Museum of Biblical Art, will have on display twenty-three masterpieces representative of the Florentine Renaissance. 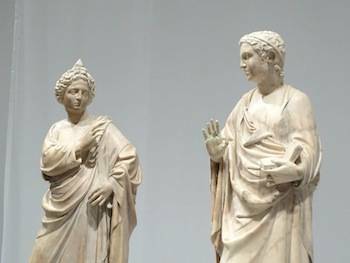 A journey inside the Florence pf the 14th and 15th centuries, among the sculptures by Donatello, Brunelleschi, Luca della Robbia, Nanni di Bianco and many others. 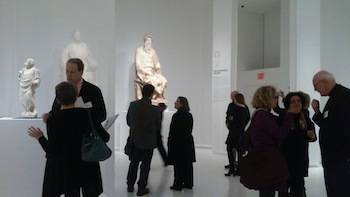 The beauty and historic magnificence of the sculptures by D​onatello, Brunelleschi, Luca della Robbia and many others in New York. A unique exhibition that honors the creations of the Florentine Renaissance art at the Museum of Biblical Art that celebrates its tenth anniversary. 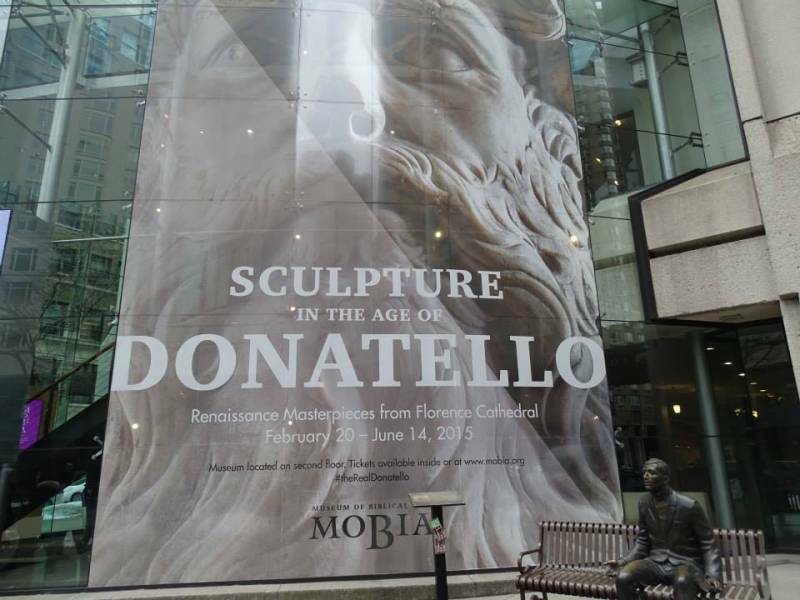 Donatello: Renaissance Masterpieces from Florence Cathedral. An exhibition that explores fifty years of Renaissance history and art through the works of the above mentioned artists. ​Twenty-three sculptures realized by the Florentine artists in the first half of the 15th century for the facade and the interiors of the Florence Cathedral. Also on display the models of the wooden dome ascribed to Brunelleschi and realized for the Cathedral of Saint Mary of the Flower, a glorious and solemn beauty. ​T​he retrospective offers an intim​ate​ and spiritual ​journey that allows one's imagination to travel to Florence while still being in New York. The hall where the masterpieces are being exhibited is bright and minimalist, it certainly reflects the city environment. But you can perceive the religious connection and feel the spiritual depth conveyed by the figurative language of these works. Walking around and observing the perfection of these statues in person, with their flawless details, is a unique and profound experience. ​Renaissance officially starts in Florence at the beginning of the 15th century and it marks a milestone in Italian history and culture. 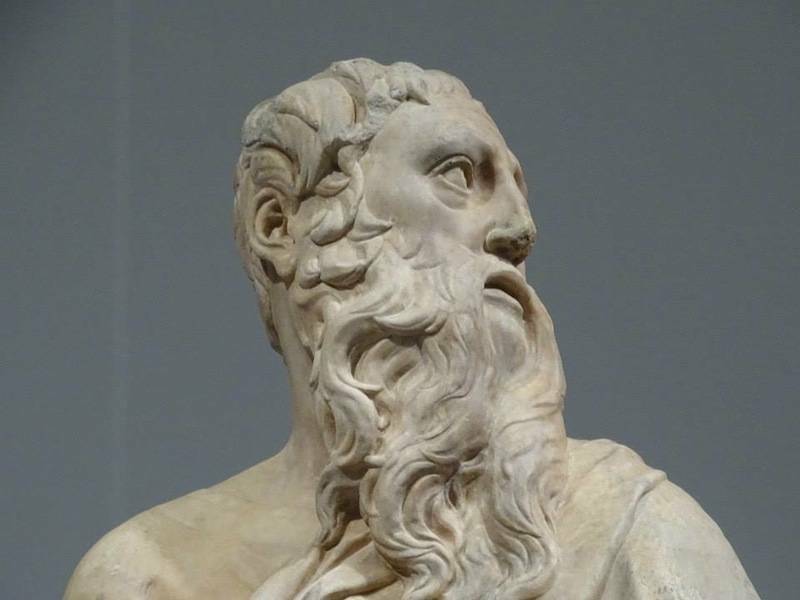 Sculpture, more specifically, becomes the means enabling the artist to experiment creativity, even though Donatello and Brunelleschi's innovative way of expressing art wasn't immediately appreciated . Art takes the shape of a more classic expression in sharp contrast with the Gothic style that was popular at the time. That's where the word "Re-Naissance" comes from, a new birth inspired by the ancient Greek and Roman models, by the study of perspective and of the human body. “Sculpture in the Age of Donatello marks a tra​sformative moment in MOBIA’s development, and a remarkable opportunity for New York and national audiences” say​s Richard P. Townsend, Director of MOBIA, during the ​press ​conference held​for the opening of the exhibition. “We are honored to work with the Florence Cathedral Museum on this groundbreaking exhibition, and are grateful to President Franco Lucchesi and the Opera’s Board of Trustees for making this initiative possible”. The Director of MOBIA introduced the Co-curator of the exhibition Monsignor Timothy Verdon, director of the Diocesan Office of Sacred Art, Church Cultural Heritage and the Cathedral Foundation Museum (Museo dell’Opera del Duomo). According to Monsignor “The Museo dell’Opera del Duomo represents the full institutional History of Florence, of the State and Church. The works come from the Florence Cathedral, designed by Filippo Brunelleschi, which is the main religious building in the city and the largest church in Europe by the time it was completed in the XV century”. ​On the occasion of this great exhibition of the treasures of the early Renaissance, public lectures. concerts, seminars, in-gallery programs and guided tours ​will be offered.